The Gathering of Women, Inc.
Have you ever been a flower girl or have you ever wanted to be a flower girl? The Flower Girls are regarded as the symbols of purity, virginity and youth. In weddings, they historically proceed the bride in the wedding procession. Significantly, the flower girl is prepubescent younger than 10. The innocence of the childhood embodies in the young flower girl. The Flower Girls program is developed in honor of Rene’ Flowers. We honor and recognize Ms. Rene’ Flowers for her commitment and contribution in making our community a better place, and for her determination in making our schools an inclusive education system whereby students and adults are welcomed and supported, and where their faces, voices and experiences are reflected and valued. The Gathering of Women’s Flower Girls will be engaged in etiquette, community involvement, health, merit, praise dancing, the arts, and sisterhood. They will explore and share their hopes and dreams through creative projects, journaling, group presentations and team building exercises. Our model is designed to empower each young girl age 5-17 to build strong character, demonstrate critical thinking, and develop responsibility and positive sense of self. We believe that every girl is precious with unique gifts and strengths. The Arts: Singing, drama/acting will be offered for building thespians characterization. 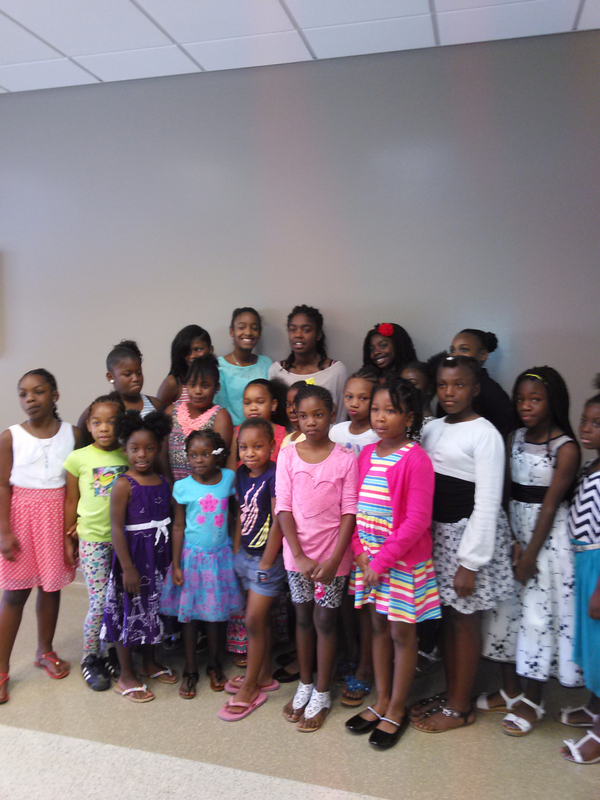 Etiquette: Teaching young girls the fundamentals of social skills and etiquette. Creative movement/Music: Introduction of various genres of music, ballet, tap, jazz, theatre dance, hip-hop, rock, jazz, and gospel. Community involvement: The Flower Girls will be involved in a project that address a community problem they believe is important to change. Building relationships. Appreciating people different from them, trusting the reasons behind what other people do. The Flower Girls will meet on a weekly basis on Saturdays from 9:30-12 PM . A typical group is composed of 20-25 girls & boys A typical Flower Girl & Boys of Mancamp program will feature a group or guided conversation or session by a featured adult.